Nico Adomako has German and Ghanaian roots, the latter having led him to West Africa multiple times. 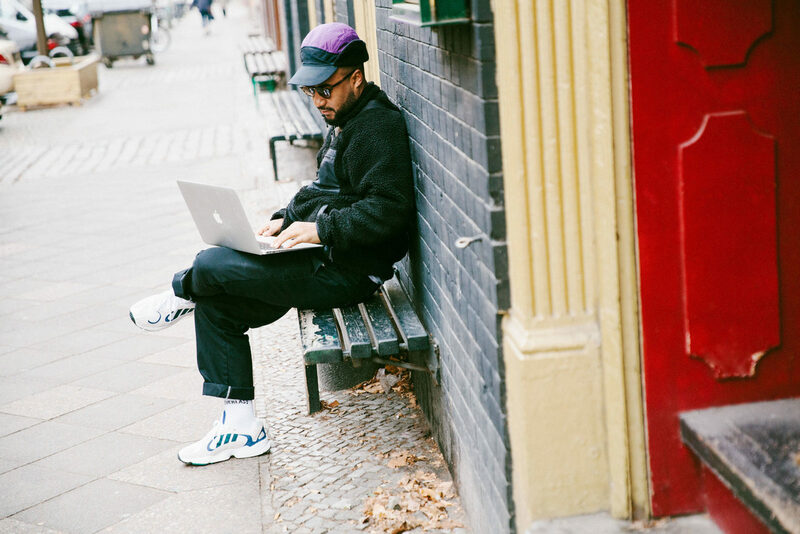 When asked, the DJ and co-founder of music collective Einhundert states that Berlin and Ghana aren’t “comparable at all, besides the growing rate of gentrification and the influence of the outside world.” Adomako is set to visit the country again in the near future, this time he hopes to play there. “It’s finally infiltrating the western world, especially in cities known for their musical impact, such as London,” he notes about Ghana’s growing music scene. My background is definitely part of my style and musical tastes right now. I grew up with a lot of music in my life. Mine was a mixed race household so I was always exposed to different cultures and music. My mom was into techno and hip-hop and my dad was reggae and Ghanaian music, but both are really big fans of Bob Marley who was my favorite artist. I always had the passion for music and I made cassettes for people in my class and even for the teachers at one point. I have a radio show and sometimes my mom is like, “I showed you these tunes when you were young and you didn’t like them!” It’s really funny. What’s special about Ghana from your perspective as a musician? It’s interesting how fast it’s growing industry-wise. There’s a great spirit there as well. Everyone is very welcoming and there are so many opportunities to do stuff that can’t be done here anymore, I would say. The new music scene in Ghana and West Africa is right now experiencing its biggest breakthrough, various artists from there are finally getting airtime and touring. For example, Bryte, who I’m a big fan of, will play at Berghain here in Berlin for CTM festival soon. Is there something the music scene has that’s missing elsewhere, and in Berlin in particular? Music began in Africa and this is still the spirit that is felt there; it plays such a major role in the lives of everyone. I really like how the new sound of Ghana is a mixture of Afrobeat, classical highlife music—which my dad raised me on—rap music and club sounds. How do you feel about Berlin’s eclectic nature, has it changed? Now people actually grow up with exposure to different stuff. I would say what’s changed is that the youth go to a rap concert one day and the next day they go to Berghain, and when I was young you definitely just stayed in one lane. I like to see that everyone has this energy and that they’re being actually creative and less scared to enjoy or try different things. As well as working as a DJ you also work with a lot of emerging artists that you have discovered. I wouldn’t take credit for discovering anyone. It’s more about giving deserving artists a platform to showcase their work and vision, as well as trying to guide them by sharing my experiences. With Einhundert Sound System, which is part of your music platform Einhundert, you focus your energy on local talent. Why is that important? It’s not all focused on local talents, for example we have JJAQ from Rotterdam in our Soundsystem, but we are trying to mainly give an audience to people who are based here. 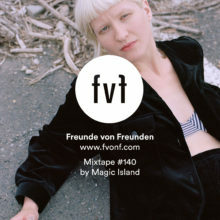 I think it’s important to shape Berlin’s music culture for the future, especially for kids who are born and raised in here, such as Low.Vision. I think it’s tougher for them; the people who move here create a lot of opportunities but they also take up a lot of space from local talents. What kind of challenges do they, and you, face? There are a lot of setbacks involved, you’re constantly faced with the challenge of how to reinvent yourself in a way that attracts a new demographic. Translating ideas to companies can be difficult when money is involved as the original vision can be easily lost sight of in favor of marketing strategies. What is the biggest, most lasting impact Berlin has had on you? Due to these challenges, Berlin is often frustrating as a creative, but it definitely gave me a drive to just create stuff on my own. Berlin as a melting pot exposed me to all kinds of different cultures, knowledge, and music genres. It also pushed me out of my comfort zone and helped to keep me open for all kinds of new stuff that’s coming my way, such as taking the consulting agency, Bird on a Wire, that my friend Flo Hattenbach and I run together, to the next level. We’re putting together another tour for Asia and North America, and launching a new event series. And what impact do you hope to have? I hope I can inspire someone to take a risk, follow his or her passion and find a way to get paid for it, and wait for no one! It sounds like Berlin is, and will stay, home for you? Berlin is definitely the place where I love to express myself and see other people doing the same. When it comes to Münster, besides my mom and brother still living there, I hardly relate to it anymore. It barely feels like home when I visit, more like a place that I know really well. Home is more like a feeling to me rather than a specific place. Can you see yourself living anywhere else in the world? Somewhere sunny! Maybe somewhere quiet but then I don’t want to get bored. It would probably take 20 years to know where I want to go, but at the moment Berlin is my favorite city. People can follow their passions here, at least for now. This will probably change in the next five to ten years as it gets more expensive.